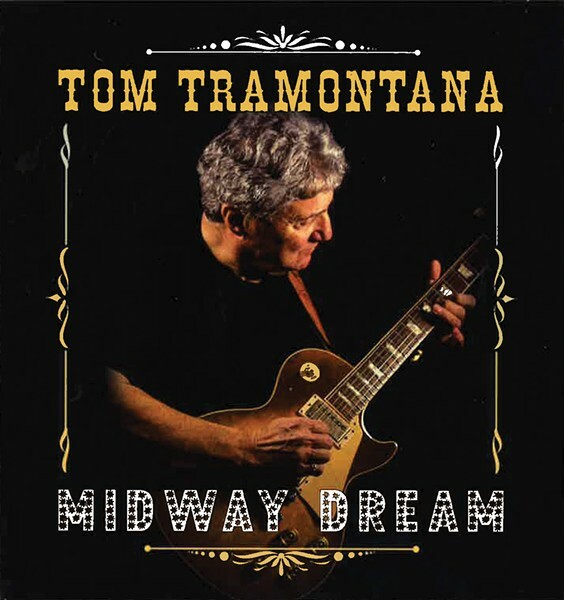 Tom Tramontana's new CD, "Midway Dream," opens up with the tune "Glory Bound" and a big stretch as high as the sky. The sweet scram and moan of pedal steel will do that; it'll carve out a vision and paint it blue. The sound pops on track two, "All Night Long," but Tramontana keeps things sufficiently corralled with his tasty guitar. And it's anyone's guess what's next. He blends shufflin' blues, thoughtful ballads, and even a little New Orleans second line shuffle as if rendered by the hands of Bo Diddley. Tramontana's guitar is the only thing on the CD that digs into the nasty side of things, tonally speaking, especially when juxtaposed with his plaintive, almost deadpan phrasing. "Midway Dream" sports a decent band — including Gary Holt who plays bass on the record and sits in the producer's chair — that falls in to cover the cracks in the strain that Tramontana creates. "Midway Dream" is an easy listen.